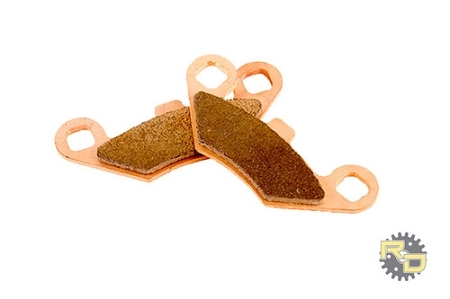 Brand New Race-Driven Severe Duty Sintered Metal Brake Pads. Severe Duty Brake Pads are the newest design and tested compound by Race-Driven. They are a sintered metal pad which will far out last any semi metallic or organic pad on the market. Tested in our independent test facility these pads outlasted the most famous brands of brakes, they have many hours of testing in all environments. These pads will work excellent in all conditions including mud, water, sand, racing and any other condition you can throw at them. Race-Driven is committed to bringing the highest quality products to all riders at an affordable price. Customer Driven – Quality Driven – Race-Driven.